The Agricultural University of Athens (AUA) is the oldest Greek HEI in Agricultural sciences and the 3rd oldest University in Greece. Among its main goals are to maintain and further improve the quality of mobility and to enhance the international dimension of its activities in order to strengthen its relative position amid the Universities at a local, European and international level, as this is set by the latest Act for Higher Education. Its overall strategy is described in the University’s Erasmus Policy Statement. The Agricultural University of Athens holds the Erasmus Charter for Higher Education 2014-2020. 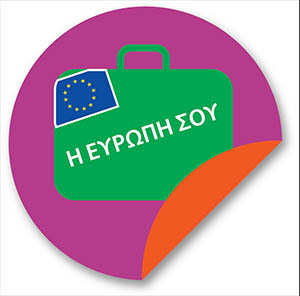 We welcome students from all over Europe 28 member-states of the European Union, states which are members of the European Economic Arena (Iceland, Lichtenstein and Norway), as well as Turkey and Croatia – to spend an up to 12 months period of studying at the Agricultural University of Athens. During their stay, students are given the opportunity to carry out a part of their studies, including courses, their graduate thesis and practical training. Be studying at a University that has established an Erasmus Bilateral Agreement with the Agricultural University of Athens – check our Erasmus partnerships’ list. Please note you can only study the subject given in the list (e.g. 081 Agriculture). Be fluent in spoken and written English. See our English language requirements. Be in the second year of your studies (if undergraduate) and have passed most classes you have taken at your home university in the first year. For detailed information about University facilities, transportation, accommodation, medical services and generally student life in Athens, please read the Erasmus Student Welcome Guide.